Johannes BECKER (1663 – 1712) was Alex’s 9th Grandfather; one of 1,024 in this generation of the Shaw line. Johannes Becker (Bekker, Baker) was born 3 Jun 1663 New Amsterdam, New Netherland His parents were Jan Jurrianse BECKER and Maria Cornelis ADRIAENS He married Anna van der ZEE on 17 Dec 1684 in Albany, New York. Johannes died in 1712 Albany, New York. Anna van der Zee was born 16 Jun 1665 in Albany, NY. Her parents were Storm Albertse Van Der ZEE (Bradt) and Hilletje LANSING. Anna died 19 Dec 1739 in Albany, NY. Johannes and his brother-in-law Willem Hogan operated a tavern in Albany in the 1690’s. His wife Anna also came from a tavern operating family. A 1698 letter to Johannes Becker from Lieut. Matthew Shanks, sailing for England, includes a promise to pay in time his indebtedness for drinks. The back of the letter served for a reckoning of drinks served to the first citizens of Albany. Shortly after 1700 Johannes removed to a farm on the Van Rensselaer patroonship, in the town of Bethlehem, near the hamlet once known as Becker’s Corners, now Selkirk. It is probable that for some generations the Beckers had been city dwellers, burghers. Now they returned to the soil, and so continued until after the Revolution. This was, be it said, a step up, for a freeholder, or even a lessee on a manor paying a moderate quit rent ranked higher in social respect. Johannes Becker, Jr., and Anna had many, children, two of them being Johannes (the third), born in 1691, and Storm, born in 1696. When Johannes, Jr., died, about 1712 , Johannes, his son, became head of the family. He and his brother Storm achieved the ambition to be freeholders, un-beholden to the Van Rensselaers. 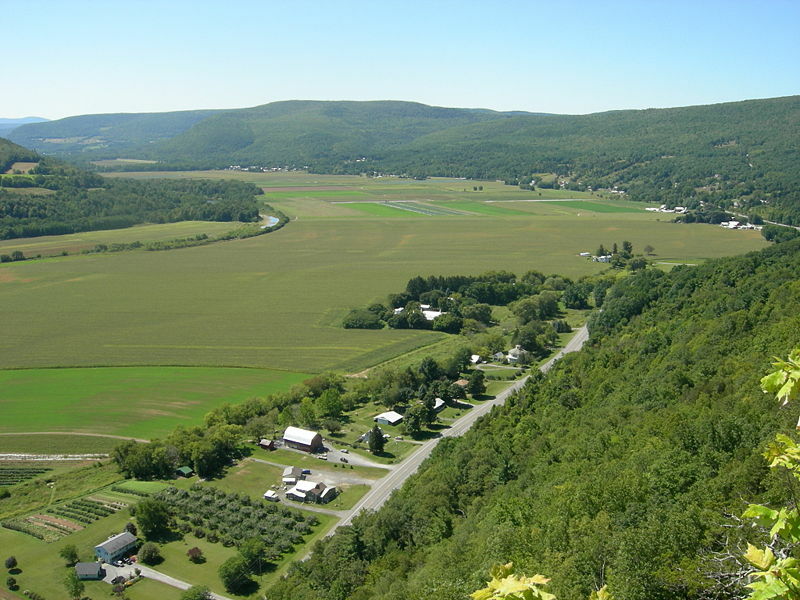 Thirty-five miles west of’ the Hudson and beyond the bounds of Rensselaerswyck lay the fertile valley of the Schoharie. About 1712, a flock of German refugees from the wars that had been ravaging the Rhenish country, from the Palatinate, had squatted there, and in time acquired titles from the land speculators who held patent from a grateful colonial governor. in 1724 Johannes and Storm Becker bought lands and a mill on Schoharie Creek, and settled there. These lands were very fertile. In the time of the Revolution Washington referred to them as granary of the colony. The Beckers grew wealthy and locally influential. They raised large families of sons, and when the boys grew to manhood there were other good lands to be obtained. The Schoharie Valley was colonized by the British in the early eighteenth century. However, the majority of the settlers were Dutch or Palatine Germans. Mariken’s husband Jan Harding was born about 1681 in Albany New York. Johannes’ wife Cornelia Uzille was born 2 Apr 1693 in Bushwick, Kings, New York. Her parents were a French Hoguenot named Pierre Uzille and Cornelia Damen. Peter’s family from the neighborhood of Calais, whence his father David fled from persecution to Manheim, Germany, and later to Staten Island. Pieter Uziele was listed as a “nursing child” when his parents, David Usilie and Marie Casier emigrated to the New World on the Gilded Otter in 1660. Pieter had been born 1659 in Mannheim, Germany. The Uzilles or Zellies still reside in Schoharie. Cornelia died 17 Sep 1748 in Pennsylvania. Johannes’ son Abraham married his first cousin Elizabeth, daughter of Storm Becker. Their son Abraham Becker lived until 1815. During the Revolution he was a member of the Committee of’ Safety from Schoharie, the war-time governing body, and attended many meetings held at Albany. After the war, in 1784 and 1785, he was a member of the State Legislature and as such served on the Council for the Temporary Government of the Southern District, that is to say, New York City and Westchester, after the evacuation by the British. His life appears to have been that of a gentleman farmer. He had good lands and kept slaves, until New York emancipated them. Abraham Becker had a son, Storm A. Becker. The practice was to designate the son’s paternity by the initial of the father’s name. I surmise the explanation lies in the fact that in 1780, he was a candidate for, and received, a commission as an Ensign in the Levies. He had an interest in military affairs and after the War continued in the Militia, rising to the rank of Brigadier General, in command of the Schollarie regiment. In those days militia regiments were far from trained for actual war service. Annually there was “general training”, a sort of grand jamboree and precursor of the county fair. Whether by reason of age or lack of qualifications, General Becker was not called on for service in the War of 1812 in any active capacity. When the County of Schoharie was created in 1795, Storm A. Becker was appointed as the first Surrogate, and he was also a justice of the peace and member of the State Legislature. Looking at the records of the Assembly for 1800, he was one of those who voted against the bill to abolish dueling from which we may conclude that he was a gentleman of the old school. Storm’s second wife Gertrude Klein was born 1712 in Albany, New York. Her parents were Johann Herman Klein one of the Palatine refugees and Anna Magdalena [__?__]. Gertrude died in 1754. Gerrit’s wife Ariaentje van der Kar was born 3 Sep 1701 in Albany, Albany, New York. Her parents were Jan Dirkse Van Der Karr and Feytje Claasen Van Schaick. Ariaentje died 19 Dec 1739 – Kinderhook, Columbia, New York. Elizabeth’s husband Alexander (Sander) Van Woert was born in 1697 in Albany, New York. His parents were Rutger Jacobse Van Woert and Elisabeth Willemse Groesbeck. Albertus’ wife Catharine van der Zee was his first cousin. She was born 1 Jan 1709 – Albany, Albany, New York. Her parents were Wouter Storm Van Der Zee and Jannetje Swart. Her grandparents were Storm Albertse Van Der ZEE (Bradt) and Hilletje LANSING. Peter’s first wife Sara Slingerland was born Jul 1700 in Albany, New York. Her parents were Arent Slingerland and Gertruy van Vorst Oct. Sara died before Nov 1739. Peter’s second wife Annatie Vedder was baptized 21 Jun 1713 at Albany Reformed Church. Her parents were Johannes Vedder and Maria Van Der Fort. Annatie died in 1742 in New York. This entry was posted in 11th Generation, Line - Shaw, Tavern Keeper and tagged Albany Pioneer. Bookmark the permalink. I found your article generally very helpful. Thank You. I am descended from Diana or Dinah Becker. She married Elijah Bicknell, an Englishmen who was a schoolteacher in Schoharie, in 1792. I got that part from a book on the Bicknells. She, it would seem, was the daughter of Peter S Becker (same book), but I haven’t been able to connect him yet. Knowing that this “Pieter” existed was nice. Do you have anything more about him, or his children? Any insight on my situation would be appreciated.